If you are anything like me you need a good escape from reality. Fortunately there are quick a few nifty comic books out this week that will provide you a brief break from the madness. It is always a good feeling to escape with some classics. 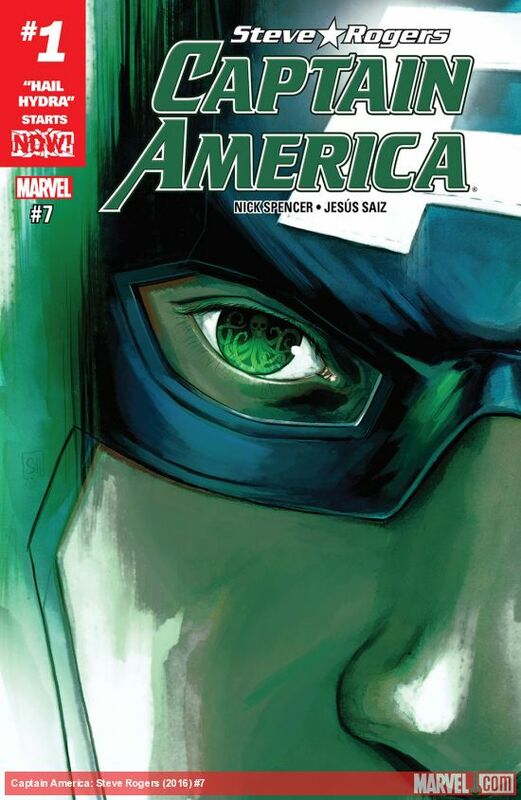 Captain America #7 - The fist issue in a new arc is upon us and is a safe jumping on point for those who may have turned their back on Captain America when Nick Spencer turned him into a Hydra agent. He isn't really a Hydra agent, but thanks to a cosmic cube he believes that he has always been working for Hydra. In the new arc, Cap is once again trying to take down the Red Skull. Despite working for the same team, Captain America feels that he would be a much stronger leader and could take Hydra to new heights. Thus begins Captain America teaming up with some unexpected partners in his quest to gain control of Hydra. Good stuff. Batman/Teenage Mutant Ninja Turtles: Adventures #1 - This week we were gifted with another fun DC/IDW crossover between two of my favorite fandoms. It seems that the portal in New York has once again been activated and is pulling villains out of Arkham Asylum and dropping them in the sewer. Last time saw the Turtles in Gotham, this time the Dark Knight is going to visit the Big Apple. The shift in scenery has led to a shift in tone, as this series is off to a lighthearted start. 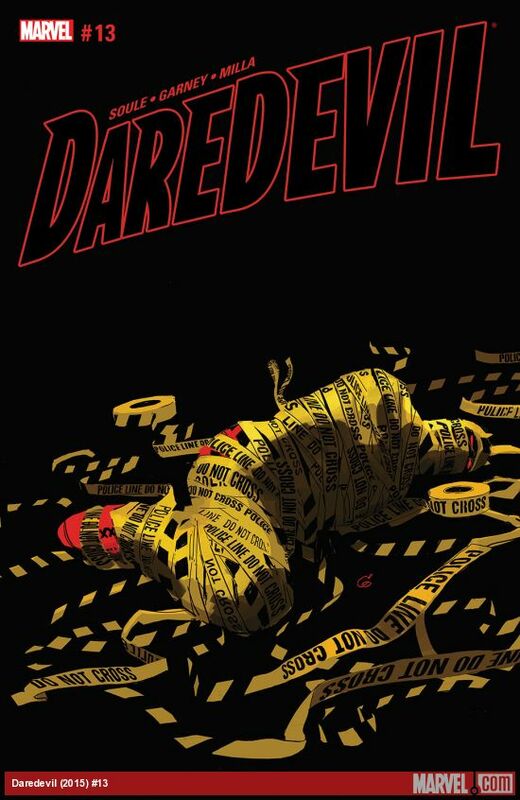 Daredevil #13 - Muse has to be one of the most interesting villains I have read in some time. While this issue didn't include much Daredevil, it was a thrilling ride as Blindspot made the choice to save some lives even though it meant pursuing Muse solo. Charles Soule has really brought back a dark tone to this series and it has been a breath of fresh air. This issue is a high octane ride that has me clamoring for the next issue. 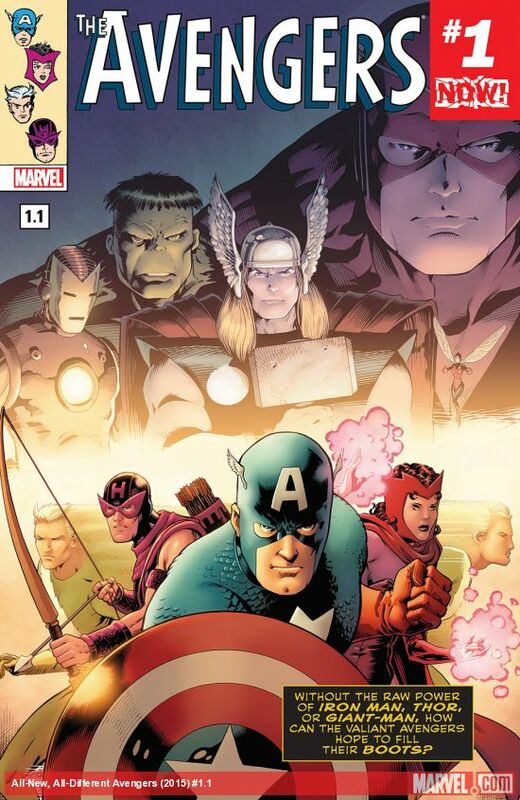 The Avengers #1.1 - In a fun throw back title from Mark Waid, Captain America is "leading" a new team of Avengers. Wasp, Iron Man, and the others needed a break and have assembles the trio of Hawkeye, Scarlet Witch, and Quicksilver to lend Cap a hand. The public isn't too keen on enlisting people who once worked for Magneto and the team has some issues with chemistry that make their first test a challenging one. Looking forward to reading what Waid has in store for this rag tag group.